PM2.5 sequential sampler (2025i) was installed at the first building of Mt.Fuji meteorological station in order to clarify transboundary pollution of PM2.5 in North East Asia and PM2.5 samples were daily collected on filter. 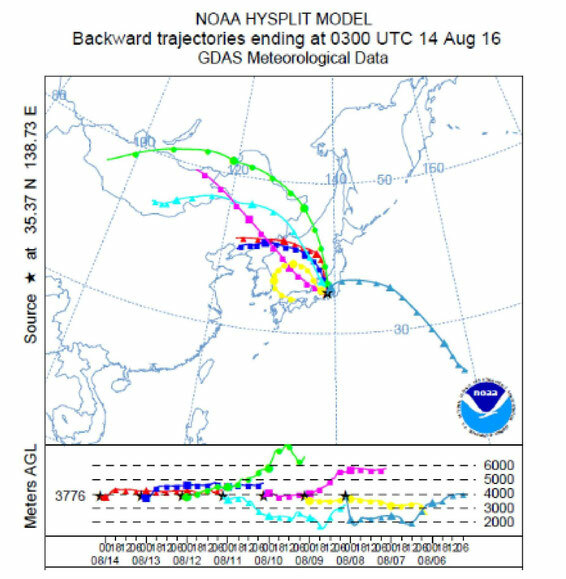 Sampling was carried out during around one month from July 24 with Kazo, Shinjuku (Waseda university), some sites in China and South Korea during two weeks in August simultaneously. Filters were treated based on reference method of PM2.5 measurement. 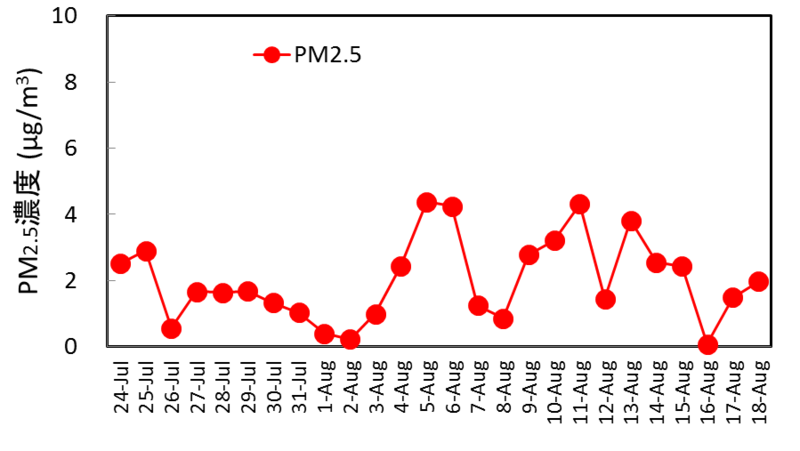 Trend of PM2.5 mass concentration was shown in Fig.1. Average concentration was 2.0±1.3 μg/m3. The highest concentration was 4.4 μg/m3 on August 5 and the second highest was 4.3 μg/m3 on August 6 and 11. 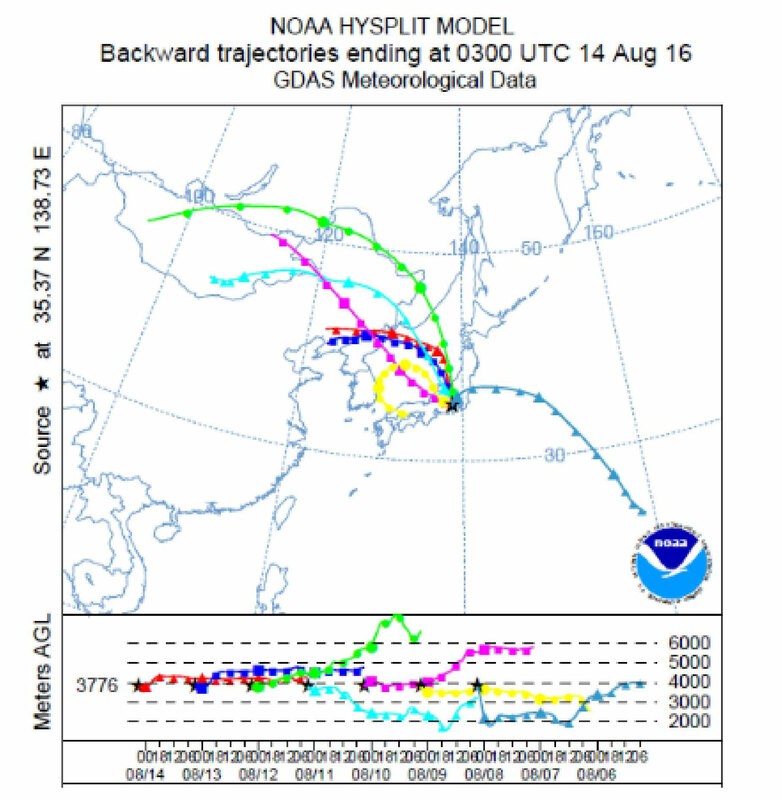 Backward trajectories showed that mass of air flew into there from the north-west direction during the middle-August.